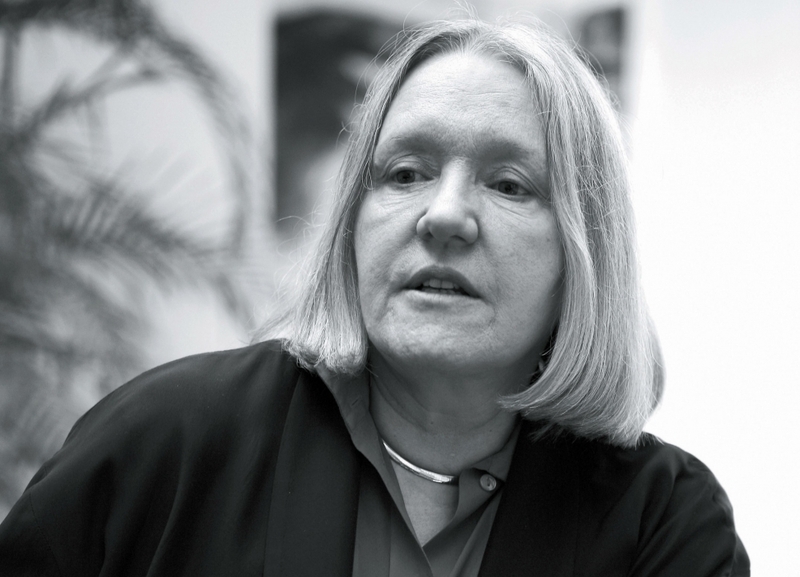 Saskia Sassen is Robert S. Lynd professor of Sociology and co-chair of the Committee on Global Thought at Columbia University. For UNESCO Sassen has organized a five-year project on sustainable human settlement with a network of researchers and activists in over 30 countries; it is published as one of the volumes of the Encyclopedia of Life Support Systems (Oxford, UK: EOLSS Publishers). She has written several books, the most recent being “Territory, Authority, Rights: From Medieval to Global Assemblages” (Princeton University Press 2008). She is currently working on “When Territory Exits Existing Frameworks” (under contract with Harvard University Press). She contributes regularly to Open Democracy and The Huffington Post. Part of your analysis on globalization suggests a process of “denationalization” of the state —stressing the voluntary relinquishing of national sovereignty in favor of the internationalization of the economy. At the same time, you also propose that citizens experiment a similar process whereby they now seek further distance from the state. What impact will these processes have on society and the way we are governed? Can the “denationalized” state be construed as the preliminary stage of world governance? What I find in my research is that that the global —whether an institution, a process, a discursive practice, an imaginary— both transcends the exclusive framing of national states and also partly emerges and operates within that framing. Seen this way, globalization is more than its common representation as growing interdependence and formation of self-evidently global institutions. It includes sub-national spaces, processes, actors [see The World’s Third Spaces]. The global gets partly structured inside the national —and this process entails a denationalizing of what was historically constructed as national. This is mostly not part of the most widely accepted definitions of globalization. I agree with this definition in many ways, but I just think it leaves out those critical parts of the global that get constituted inside the national –and thereby leaves out the consequences of this for the state, for citizens, for norm-making, for the definition of what is “national security,” for what is membership in the “nation”. Conceiving of globalization not just in terms of interdependence and global institutions, but also as inhabiting and reshaping the national, opens up a vast agenda for research and politics. It means that research on globalization needs to include detailed studies, notably ethnographies, of multiple national conditions and dynamics that are likely to be engaged by the global and often are the global, but function inside the national. And it will take decoding: much of the global is still dressed in the clothes of the national. For years now, China has been investing heavily in Latin America and Africa, mainly for the purpose of securing natural resources such as oil, minerals and agricultural goods. In the case of Venezuela, China has recently granted the Chávez regime a $20,000 million credit in exchange for future oil assets. Brazil has acted similarly in selling future commodities in exchange for a portion of China’s huge dollar reserves. Is China becoming the world’s new United Fruit Company? Is the emergence of a new form of neocolonization the inevitable next step in the shaping of the global economic order? One could see it as history repeats itself —the new giant on the block now goes through the same steps as the old one did. I do think there is much of this. But I have come to understand that confronted with a powerful explanation my first step is to wonder what it obscures. In a way, the more powerful the explanation the more difficult it is to see what it obscures in the penumbra of its own light! So I have been writing and doing some research about what else is happening in the resource grabs by China, besides good old imperialism the way the Brits and then the US did it. One component I see is the making of new geopolitical circuits [see Sharp-Elbowed Cities] and the making of transversal global geographies —China in Africa and China in Venezuela are geographies and geopolitical circuits that do not run through the old imperial center of our modern history. That old center is not going to go away. What I see is an emerging multipolar world that is more than the fact of having two super powers —the US and China, the US and the Soviet Union. Further, the transition is not of the old empires: Britain is overtaken by the US, the US by china; this is also part of today’s story, but again, it hides these other potentially more significant developments. “Warlords can go along with laws and international treaties if these do not interfere. When they do interfere, the horsetrading begins. And when this is not enough, well, there are always those guns.” You wrote this almost eight years ago when dissecting the “aid for Aids horsetrading” in Africa. As popular revolts spread and shake the Arab world today, what are your thoughts as to how the west will deal with “wardlordism” and continue to assert its “military-economic linkage”? Yes, I did write that… had forgotten about it. Well, I think that what is so extraordinary about the uprisings —the Arab Spring— is the clarity of purpose. They may not know how to get there, but they know they do not want a “caudillo”, a leader who functions as a hero. They have learnt their lesson. This is quite extraordinary. In much of sub-Saharan Africa you have mobilization, but it is led by one leader against another leader. The Arab Spring is very different. So if things work out the way they should —always tricky— they are going to avoid having a strongman, a warlord, that depends on the economic-military link, and will inevitably generate the rise of other aspirant warlords because being on top is where you get the wealth, the good life, the power, control. That is the problem with a country like Nigeria and Angola, which are very rich and have done zero development for the people: being in the government is the best recipe for becoming wealthy and enriching your family and larger kinship group. It is not about governing in the deep sense of the word. Some say that the current financial crisis has finally given tangible proof that an ever-expanding economy is a myth. Keynesian debates aside, the current crisis has certainly restrained the market’s adoption of new consumers, and production may have to adjust to the new demands of consumers willing to embrace a more sustainable lifestyle. Couldn’t such a seemingly desirable adjustment translate into a greater divide between rich and poor countries? It seems to me you are mixing two different issues here. So let me answer what I see as 2 different questions. I am working on a new book —a little book!— that argues we have moved from a logic of incorporation to one of expulsion. In the Keynesian period (1940-1970s in much of the West… Spain was different…) the logic of the system was to incorporate people as consumers. Incorporation was not about being nice to people, it was about needing people in an economy of mass production, mass consumption, mass building of suburban housing etc. In the phase that begins in the 1980s, the logic of the system is to expel people. In the last two decades the numbers of the “expelled” are larger than the newly “incorporated” middle classes of countries such as India and China. I use the term “expulsion” to differentiate from social exclusion. Exclusion is a well developed and established category. Social Exclusion happens inside the system. I am focused on what is expelled from the system. I use “expulsion” to describe a diversity of conditions: the growing numbers of the abjectly poor, of the displaced in poor countries who are warehoused in formal and informal refugee camps, of the minoritized and persecuted in rich countries who are warehoused in prisons, of workers whose bodies are destroyed on the job and rendered useless at far too young an age, able-bodied surplus populations warehoused in ghettoes and slums. I also include the fact that the sons and daughters of today’s middle classes will have lower levels of education, lower incomes, and far lower chances of owning a home than their parents (the data in the US already show this). This is also an expulsion form a middle class project/promise that was born in those Keynesian decades. My argument is that this massive expulsion is actually signaling a deeper systemic transformation, one documented in bits and pieces but not quite narrated as an overarching dynamic that is taking us into a new phase of global capitalism. There is a new wave of initiatives directed to control and restrain immigration in various European countries. These policies, however, do not come enveloped with the expected “economic slow-down” political discourse, but rather they are presented with a clearly nationalistic message. Sarkozy plainly said that France had been “too concerned about the identity of the person who was arriving and not enough about the identity of the country that was receiving him.” Merkel was bolder when stating “multiculturalism has utterly failed”. Cameron’s comments on the matter echo the other two. What’s happening? Wasn’t social diversity and internationalization a desired byproduct of the “global era”? a) The larger problem of insecurity brought about by the current economic era (including the expulsions I describe above) is one feeder of this new type of virulent anti-immigrant sentiment. Instead of addressing their anger to corporations that are outsourcing millions of jobs or to financial firms that are extracting the last taxpayers’ money in these countries through bank bailouts… the anger goes to the other vulnerable. It is a tragedy, but it recurs throughout history, and not just in immigration: the poor have little access to the powerful, even to confront them; their access is to other poor. Here is a little example, that I experienced myself: when the government in Colombia raised the price of bus tickets in 1978, there was enormous protest on the part of the poor and low-income… so whom did they attack: the busdrivers, who were mostly their own social class. That is whom they had access to. b) The larger problem of distorted development programs: the rich western immigrant-receiving countries have supported programs that have actively destroyed the traditional and the national more modest economies of many of the immigrant sending countries. They have replaced national production of goods, services, communication, etc with imports and through foreign firms taking over. The profits of these firms made off consumers in these countries do not necessarily get reinvested in those countries —whereas a national small firm would reinvest those profits in the country. So this expulses people and firms form viable livelihoods… and yes, emigration is often the only way to survive. But we the receiving countries made this bridge between those devastated communities and our countries. In my book “The Mobility of Labor and Capital” I found that foreign investment in less developed countries, when it goes to labor-intensive sectors, devastates the traditional economy and in such a way it stimulates potential emigrations. Foreign investment is not necessarily a solution to emigration. It has to be the right kind of foreign investment. There is more to be said… but it would take so much space. Basically, I think we have gotten ourselves in an impossible situation with our current way of handling immigration: it is not working for anybody and in the long run our countries cannot violate the human rights of the vulnerable without it becoming a cancer deep inside the state and the society that will hit everybody [see Is This the Way to Handle Immigration?]. To what extent do you think the Internet is becoming an effective tool of change in society. Can it really serve, as Federico Mayor Zaragoza claims, as the basis of a “new democracy of global scale”? Yes, it can, but it can also help global finance concentrate much of the floating capital in the world, and it can allow the growth of huge corporations who may have started pursuing the common good, but who knows when the founding generation of good-doers is out of the picture! There is much more to be said, of course. On a similar subject, figures such as Stéphane Hessel, José Luis Sampedro, or Federico Mayor Zaragoza himself, are all trying to alert us about the crucial need for individuals to come together and ignite the change for true sustainable development and social justice. Do you share their sense of urgency, or is it perhaps, as Slavoj Žižek proposes, that individuals should be “more hedonistic” as long as their selfishness does not harm the rest? Let me answer the question about the need to come together by focusing on the new social media… clearly that is just one little element in the answer to this huge question. These new interactive technologies are good and bad. There is not just one meaning. It depends how we use them, for what, whether they take over. But they can also help in constituting forms of the social that matter. Women who exist in oppressive and restricting cultures, can create networks of women which allows them to be freer in their expressions and speaking up. Tahrir Square in Cairo showed us yet another version: how these social media can activate existing networks and generate new networks. Though let me say that I do not accept the notion that became common in the US, that Facebook created the Egyptian revolution. That is simply nonsense. It helped, in activating existing networks for mobilizing. But these technologies can have negative effects also —as has been widely described: people who are gaming can get so involved they neglect their real life, their studies, eating; cyber bullying; sexual predators, etc. [see Digital Formations of the Powerful and the Powerless]. Libertarian ideals in their socialist and liberal expressions —although more in the latter than in the former— seem to be gaining popularity, especially in the US. Do you think the reemergence of libertarian thought is one of the consequences of the citizen “denationalization” process you suggest? Interesting, I hadn’t thought about this. But it could be the case, indeed. It seems that the financial crash of 2008 summoned more decisive action, at least in terms of allocation of resources and prompt global coordination, than other international crisis of more “humanitarian” character such as the disaster in Haiti, the recent events in Fukushima, or even the current revolts in the Arab world. Isn’t globalization of the market and its powers rather than globalization of humanity what the “global village” is still about? Yes, I find this a truly dismal turn of events [see Haiti and the Catastrophic Role of the International Financial System]. Basically, the executive branch of our states (I am thinking US and Europe), (not even the whole state!) has used national law, to get at national taxpayers’ money, to rescue a global financial system [see A Bad Idea: Using a Financial Solution to the Financial Crisis]. In the case of the US: Citibank, for example, is hardly an American bank… it is 40% owned by international investors, including sovereign wealth funds, and a lot of what is supposedly American capital, is a mix of nationalities. The question of the nationality of capital is a bit of a fiction in the current era. In fact a whole range of European institutions also got money from the US taxpayer funded bailout. Now the fund set up by Angela Merkel, supposedly to rescue troubled economies in the EU (Portugal, Greece, etc.) is the same kind of highway robbery —using a mix of national law and EU law to extract what is still national taxpayers’ money to create a EU fund most of which is to pay back the banks that lend the money to those governments, so that the banks don’t suffer too much and so that the governments can make new loans… and on and on. On a more general note, I do think that national governments, especially the executive branch and its sister agencies (finance, commerce, central banks) have learnt to be a bit more internationalist through their participation in making a global corporate economy and a global financial system. Pity this internationalism was focused on corporations and finance [see The New Executive Politics: a Democratic Challenge]. The hope is that in the hands of a good political class, that internationalism can be reoriented to the enormous challenges we face in the global commons —the environment, hunger, poverty, diseases, murderous power classes [see An Economic Platform That Is Ours].